Equip students with the critical leadership skills and solid understanding of today's theory they need to become effective business leaders in today's turbulent times. 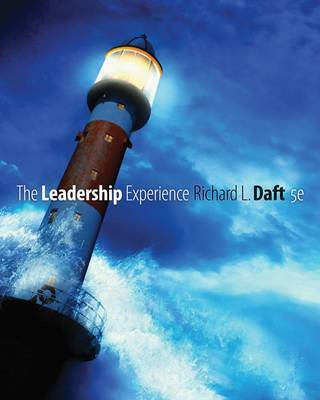 With Daft's The Leadership Experience, 5e, your students explore the latest leadership theory as well as contemporary practices in organizations throughout the world. This edition more closely connects theory to recent world events, such as the Wall Street meltdown, ethical scandals, and political turmoil. Students examine emerging topics, including enhancing emotional intelligence, leading virtual teams, and open innovation. Packed with memorable examples and unique insights into leadership decisions, this edition reinforces the book's inviting presentation with new full-color visuals. Proven applications, specifically designed for today's leadership theory and applications course, and a solid foundation grounded in established scholarly research make leadership come alive.